I am having a blast playing along with the sketch challenges at Seize the Birthday ! 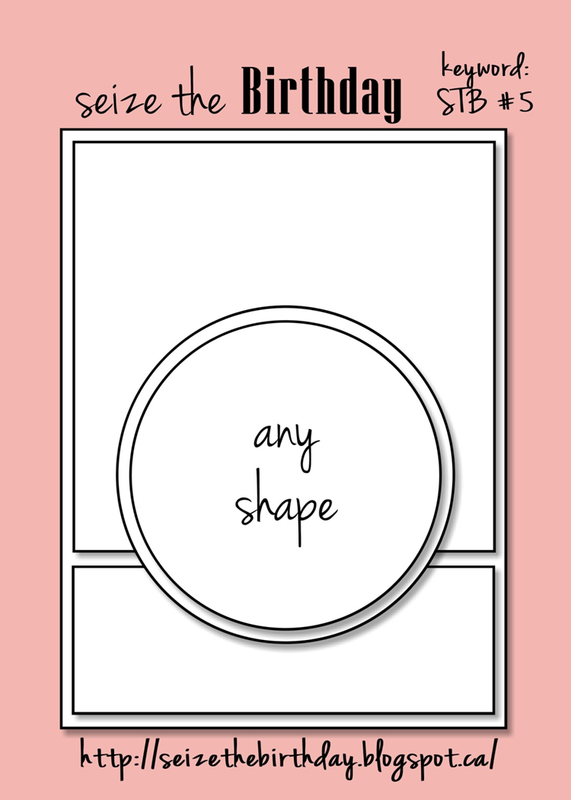 Every two weeks, a new sketch goes up with a card for week 1 being created with a feminine flair and week 2, masculine. A great way to grow your birthday card stash with no effort. For my feminine card this week, I used a cut file that I picked up a while back and hadn't used as yet....love this flower pot! the leaves and part of the flowers are an insert. My silhouette stamp and sentiments are from Stampin' Up's set "Vintage Labels" and"Just Believe". I also stamped the centers of the flowers with Distress Inks Worn Lipstick and a stamp from "Vintage Vogue". I used the brick embossing folder sponged with rusty hinge and a white ink to create my cloudy sky. I hope you will check out this great new blog and their fun challenges. I would also like to thank the team for choosing my card last week for "Birthday Honors". gorgeous, may have to check it out!!!! What a clever design, I love the flowers. Thank you for joining us at Seize the Birthday this week. Your are really all in with that cameo, I'm so glad you are having so much fun. Such a clever and pretty design. Love this one Patti, I'm terrible curious as to what the masculine one will look like, I do know it will be fabulous!